My very first Daily Deviation! You were one of my biggest inspirations on this site, and you still are to this day. Good day to you, fine friend. Happy Birthday!! Have a happy, wonderful day. Kosperry has started a donation pool! Thank you in advance for any donations! As a small token of my appreciation...I'll send a llama your way! AAAAAY Hello there to the World Wide Web! You can call me Kosmo! I am 21 years old and born and raised here in Southern California. I love draw, animate, and entertain! I guess a pretty big thing to note about myself is that I’m totally stuck in the 80’s! I dress it, I live it. It’s where I’ve felt I belonged for years and it just makes me happy all around. Woo! Some things I also like to do is go thrift shopping, collecting cool vintage stuff, hang out with family and friends, watch my fav movies on VHS, and listen to my fav music of cassette tapes! My absolute favorite musician is Steve Perry! He’s my inspiration. And, Journey, of course is my fav band! Also, I am obsessed with Columbo! And Seinfeld too! I love to make new friends, too! Please don’t hesitate to stop by and say hello, I am a super duper sociable person! I’d love to chat if you ever wanted to talk! My most favorite animals are Wolves and Foxes! My fursona character, Kosmo Perry is a kooky, orange, blue-nosed Wolf-Fox hybrid! 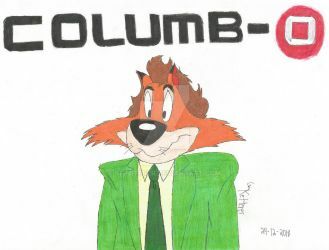 My character is based off myself, and some additional inspiration for him came from Looney Tunes, Neopets, Steve Perry, Kramer from Seinfeld, and Columbo! 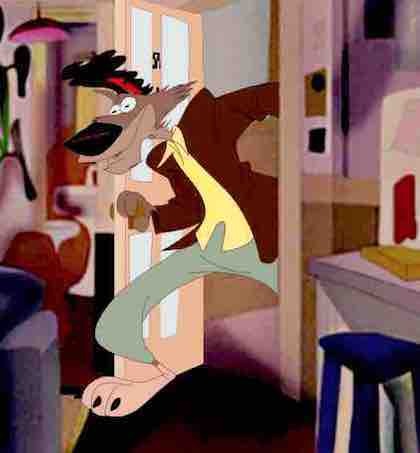 I’m also a huge Werewolf fan! Ever since I was a kid since they’re so awesome! Let’s see what, uh, what can I add to this...Oh! The things I love to draw most are animals, original characters I created such as Journey Beyond, and also I love drawing fan art for things I love such as Super Mario Bros, Steve Perry, Seinfeld, Columbo, Five Nights At Freddy’s, and much more you’ll see here on my Twitter and Instagram too since I post there more these days. Anyway, I started drawing at around 3 years old, and never stopped there! I was always so inspired by the animated movies I saw as a kid; Disney and Don Bluth specifically! I’m so grateful and blessed to be able to draw and share my artwork with you all, and I want to just thank you for enjoying it! It means the world to me! I guess the explanation is as simple as this...I don’t have a drive or will to post here like I used to. With insta...It just feels easier to share my art, silly thoughts and life commentary.... More personal I suppose? I feel a bit of freedom somehow too. Pretty much 90% of the art posted there is never intended see the light of dA, I'm afraid. Thats when I kinda realized...Gee whiz, I seem to have abandoned dA without actually meaning to. I barely come on dA anymore, and it makes me kinda sad! :C Used to love it here. It was a fun place to be! I only come online to reply to messages daily. Please understand I'm not leaving dA, I could never do that! I just cannot promise as much artwork here anymore. Just very random art pieces I feel I wanna put in my gallery here! Change does happen, even if its least expected. Again, I have no intentions of leaving here! I will still post art but very rarely. Thank ya for reading! And now for some random stuff! HOLY CRAP KOSPERRY IM SORRY I FORGOT, SCHOOL AND ALL; HAPPY 10 YEAR ANNIVERSARYX3!!!!!!!!!!!!!!!!!!!!!!!!!!!!!!!!!!!!!!!!!!!!!!!!!!!!!!!!!!!!!!!!!!!!!!!!!!!!!!!!!!!!!!!!!!!!!!!!!!!!!!!!!!!!!!!!!!!!!!!!!!!!!!!!!!!!!!!!!!!!!!!!!!!!!!!!!!!!!!!!!!!!!!!!!!!!!!!!!!!!!!!!!!!!!!!!!!!!!!!!!!!!!! I'll be posting something for ya tomorrow my friend, I'm so happy for ya!!!!!!! Hey Kosperry, real quick, what's your favorite dinosaur from the Land Before Time? ?